Dr Gala is, hands down, the most compassionate physician I’ve ever had the pleasure of calling my Doctor. He goes above and beyond to care for his patients, no getting rushed in and out in 15 minutes here! He takes the time to get to know everything about you to make sure every issue is addressed. He truly cares about every single patient in his practice. And his staff is exactly the same. If you want the best, Alpha Care Medical and its staff will take excellent care of you! It’s a privilege to call Dr. Gala my doctor. When you sit in front of him, you know this doctor cares about you and your well-being. He takes the time to listen to your concerns and makes sure you understand his goal is to guard your health. Over the last 20 years, I’ve seen plenty of doctors for help, but none came close to Dr. Gala. 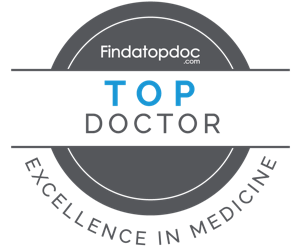 Great doctor-terrific staff. Doctor Gala is an awesome, awesome doctor. Wow, what more can I say? He’s there for the patient. He is deeply interested in what each patient is going through, and he listens to what you have to say. The staff is wonderful too. Smiles on every face, and they treat you like a family member. Dr. Gala is dedicated and compassionate about giving his patients the medical treatment they need. The staff is VERY friendly and experienced, and everyone does their part to make the patient comfortable and pain free.